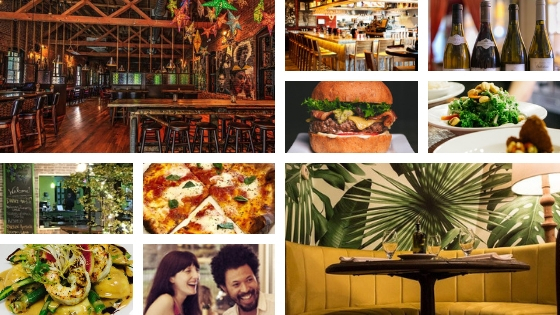 We feature the ten best dinner restaurants in The Bull City (also known as Durham, North Carolina) as voted by diners on TripAdvisor. 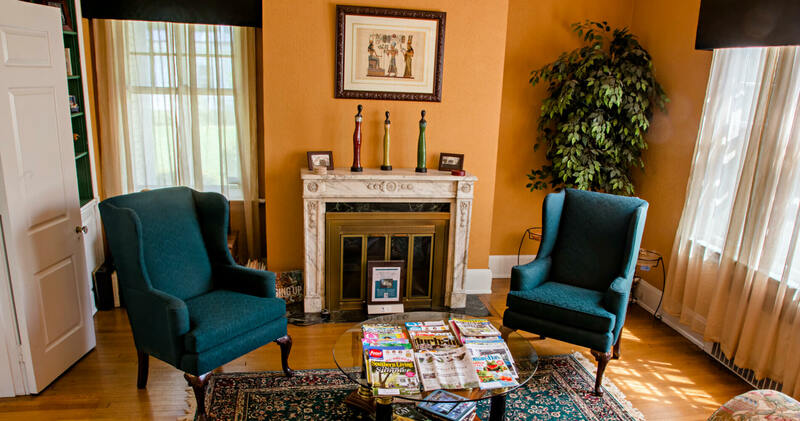 With around 625 restaurants located in Durham alone, there is a wide variety of cuisines for guests of Morehead Manor Bed and Breakfast to choose from after enjoying a delicious fresh gourmet breakfast each morning. Gonza Tacos y Tequila (604 Fernway Ave; 919-907-2656) offers award-winning Colombian and Mexican cuisines. Handcrafted Latin cocktails, an extensive variety of tequilas and regional spirits, and a carefully selected list of Latin wines and beers. Voted “Reader’s Favorite” in Best of Durham. Pizzerio Toro (105 E. Chapel Hill St; 919-908-6936) is known for their wood-fired pizza and friendly neighborhood bar. Made with fresh, local ingredients, they have salads and a variety of pizzas (with lots of toppings to choose from) including fennel sausage and Brussel sprouts. JuJu (737 Ninth Street in The Shops at Erwin Mill #210; 919-286-3555) serves up plates with bold flavors, each prepared creatively with attention to tradition, fancifulness, and deliciousness. In addition to its extensive and delicious menu, Juju features hand-made cocktails, extensive Sake selections, and a well-chosen list of artisan wines and craft beers. Dine at the bar, in the booths, in the main dining room, or around the fire pit on the patio. Mateo Bar de Tapas (109 W. Chapel Hill Street; 919-530-8700), housed in the Old Book Exchange Building in Downtown Durham, features the flavors of Spain with the beloved ingredients of the South. A casual, yet refined, menu of Spanish small plates with a Southern inflection. Mateo Bar de Tapas is known for their extensive Spanish wine list as well as one of the largest sherry offerings in the country. Bleu Olive Mediterranean Bistro (1821 Hillandale Road; 919-383-8502) is focused on keeping it simple, with high quality and consistency. Their dinner menu features a wide selection of appetizers (mezze) in addition to soup (soupa) and salad (salata), meat and poultry, and seafood, pasta, and vegetables. Family owned and operated, they have been serving locally sourced ingredients with Mediterranean influence and Greek flare since 1994. Burger Bach (737 Ninth Street, Suite #320; 919-973-4416) is a New Zealand inspired gastro pub. They proudly serve healthy and delicious pasture raised Black Angus New Zealand beef from Silver Fern Farms, 100% grass fed free range New Zealand lamb from Ovation, organic cage free chicken from Virginia’s Shenandoah Valley, and they make their own vegan black bean patty. Buns are delivered fresh daily from La Farm and toasted with New Zealand butter. Each burger is served with a mixed greens salad tossed in a fresh herb vinaigrette. Vin Rouge (2010 Hillsborough Road; 919-416-0406), as one of The Triangle’s most critically acclaimed restaurants, has consistently ranked in the top tier of “Best Of” lists by the local and national press. The menu is a treasure of Provincial French cooking by Executive Chef Matt Kelly. Great ambience and excellent wine selection. Delicious food and presentation. The Refectory Cafe (2726 Durham Chapel Hill Blvd; 919-908-6798) is a local family owned restaurant focused on healthy, homemade and local fare. Great homemade soups, fresh local produce, local line-caught fish, local grass-fed beef, and chicken. An award-winning restaurant featuring options for all diets: vegan, vegetarian, gluten-free, low-carb, low-fat, plant-based, raw and omnivore. Dinners of chicken marsala, surf & turf, lobster, linguine with clams, crabcakes, slow-cooked short ribs, blackened or grilled Salmon. Full bar, craft cocktails, martinis, fine wines, and local beer. Luna Rotisserie and Empanadas (112 W. Main Street; 984-439-8702) captures the unique and varied cuisines of South America while respecting its roots in the American South. Whenever possible, they use local ingredients, sustainably sourced from small producers near our location in downtown Durham. Luna has a full bar and serves South American inspired cocktails, wines, and North Carolina craft beers. They also have an extensive list of non-alcoholic beverages, including house-made aguas frescas and traditional South American herbal teas. Parizade (2200 W. Main Street, Suite B100; 919-286-9712) is a Mediterranean dining experience crafted to surprise and delight guests. You’ll find dishes prepared with a flair and attention-to-detail that’s second to none in an atmosphere that’s as stimulating as it is innovative. Parizade is a timeless celebration of life, food, family and friends that’s always fresh, yet familiar every time. Come visit them and experience their impeccable service personally. In addition to excellent restaurants and food trucks, Durham also has plenty of shopping, entertainment, sports, and more. We welcome you to stay at our historic mansion in the heart of Durham. This entry was posted in Dining and tagged Durham Restaurants by admin. Bookmark the permalink.